Located in the Strzelecki Ranges, this walk takes you through a cool temperate rainforest of lush fern-filled gullies, ancient Myrtle Beech trees and towering Mountain Ash. The park was created in 1904, one of the earliest reserves of cool temperate rainforest in the world and one of only four in Victoria. 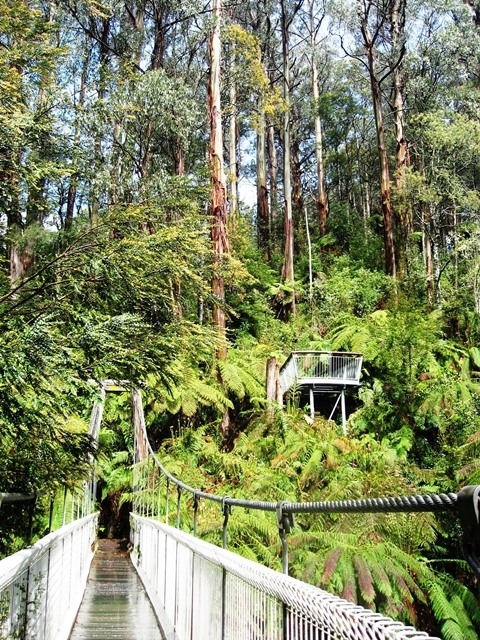 This walk begins and ends at the Tarra-Bulga visitor centre. 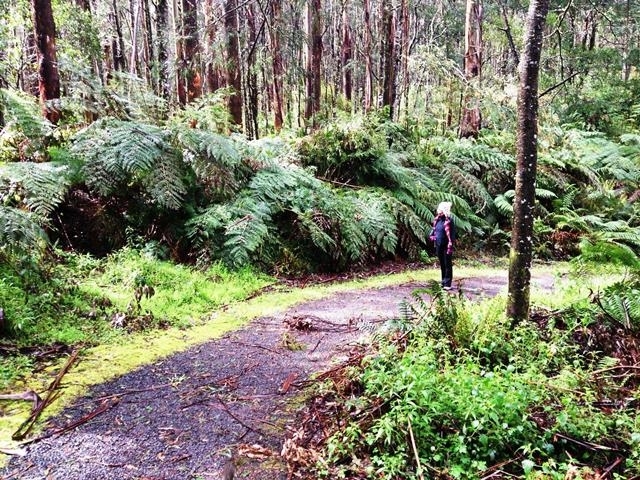 To start, follow the Lyrebird Ridge track which is accessible for people with disabilities and prams. If you are very quiet, and are there early or late in the day, listen and look out for the shy lyrebirds. At the fork in the path, you can walk a further 100m to your right to a lookout and seating, continue along the path to the left, called Ash track, or turn back to the beginning. 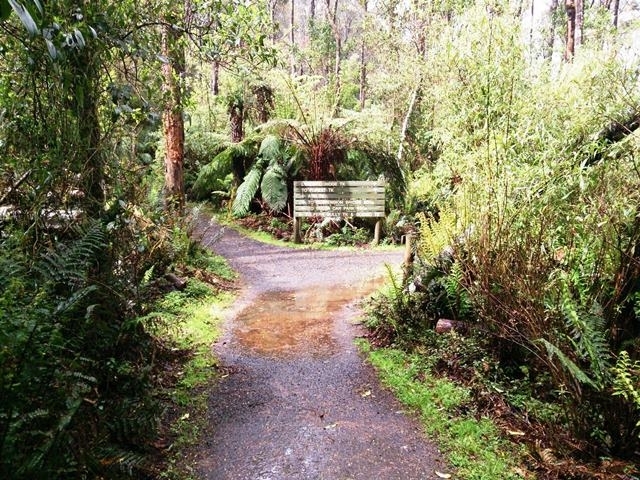 If you have a wheelchair or pram this will be your turn around point as officially only the Lyrebird Ridge track is wheelchair and pram friendly. Along Ash Track you will see the three main tree species that make up this forest; Mountain Ash, Silver Wattle and Blackwood. Logging removed most of the Mountain Ash; the ones you can see were either spared, or regenerated from seed after a fire. Eucalypts are now growing in their place. At the next fork in the path, you are at the beginning of the Fern Gully Nature Walk. 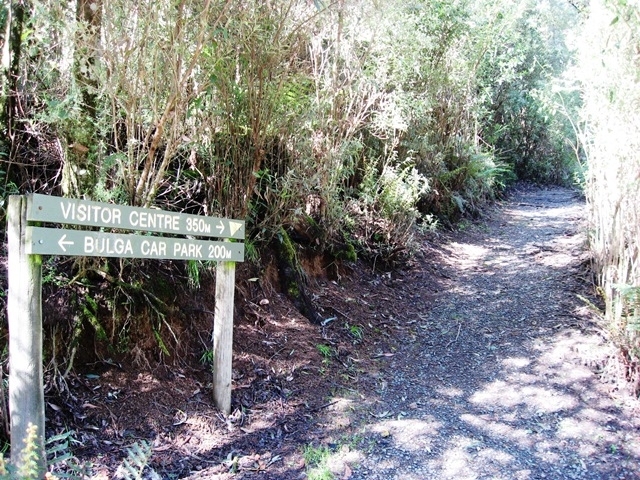 Turn left for a shortcut through the Bulga picnic area and back to the Tarra-Bulga visitor centre, or turn right to walk into the depth of the cool, sheltered fern gully. In summer it is cooler here and in winter it is warmer! Look up! 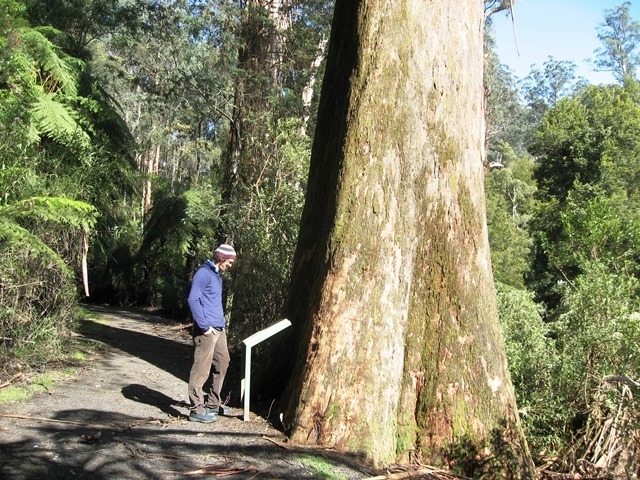 Here is a 60 metre high giant Mountain Ash, well over 200 years old! These trees would have covered most of this area before European settlement. Continue on to the lookout over Corrigan's Bridge. From here you can see the many layers, called storeys, which make up this forest. You are currently level with the upper branches of the Myrtle Beech. 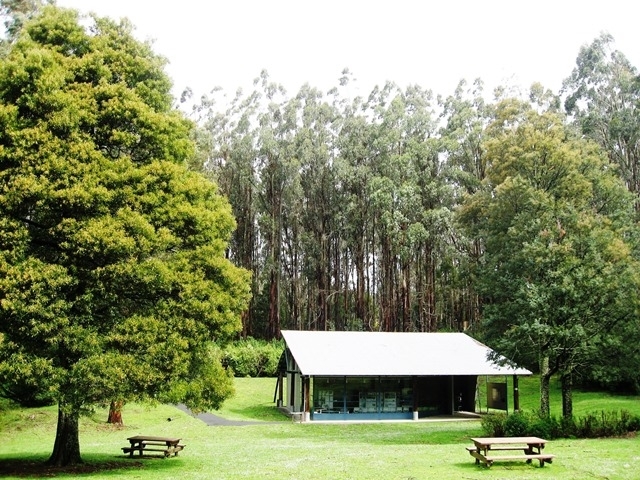 The canopy is formed by the tall Mountain Ash, at 30 meters tall are the Myrtle Beech, Southern Sassafras, Silver Wattle, Blackwood, and several climbers. Soft Tree-Ferns grow to 10 meters, while the forest floor is abundant with Mother Shield-Ferns, mosses and fungi. Standing on the bridge, you get an impressive aerial view of the perfect radial arrangement of the fronds of the Soft-Tree Ferns. Cross over Corrigan's suspension bridge and stay on the Nature Walk. 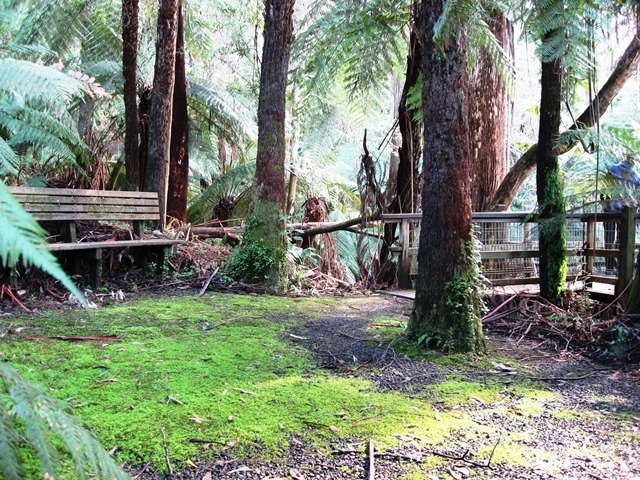 You will soon be level with the roots of two ancient Myrtle Beech trees, home to a variety of delicate mosses and fungi. Further along you will come to Lyrebird pool. Lyrebirds come here in summer to splash and drink. Yabbies live here and you may see the holes 2-3cm across they make in the ground around this pool. Continue along the final section of this path, heading up the concrete steps, through the picnic shelter to the Bulga car park. You need to walk along the road here for a minute but keep a look out to your left for the path leading inland, it is before you reach the main road. Along this walk, look for the sign on your right showing where the mint bushes are located. Rub their leaves between your fingers and enjoy the scent! This is the final section of the walk. A beautiful and peaceful area to enjoy a picnic. Opening times for the centre are 10am-4pm during school holidays, weekends and public holidays. Turn left to continue this walk or turn right to take a short diversion to a gully lookout. 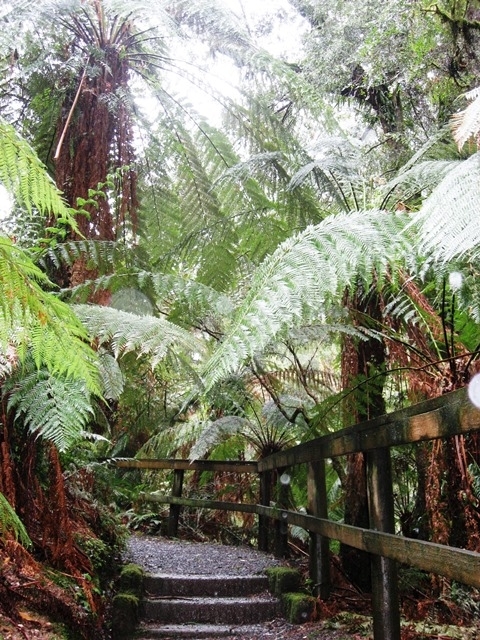 Lyrebird Ridge Track is accessible for people with disabilities and will lead you to this lookout over a fern-filled gully. A level and very well maintained compacted gravel pathway. This immense tree is over 60 metres high and can you imagine how old?! Another lookout which places you above the height of the fern trees below but look up and take in the magnificent height of the taller trees. This section of the walk takes you down to the bottom of the gully, past the Lyrebird pool where you might spot one having a drink and splash in summer! 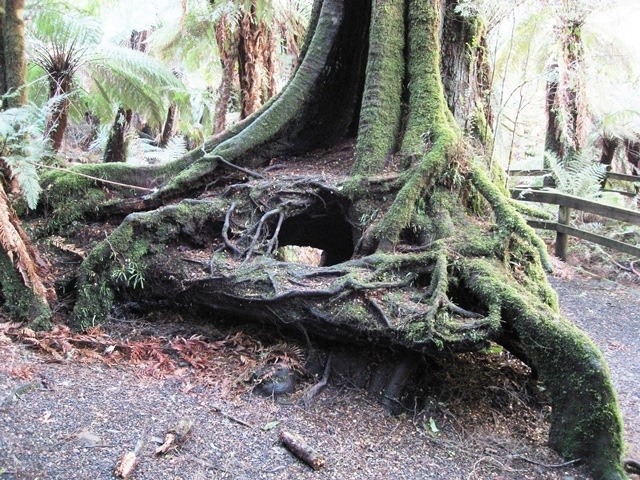 A rare and special look at the root system of this ancient tree. It provides the perfect home for mosses and fungi to grow. 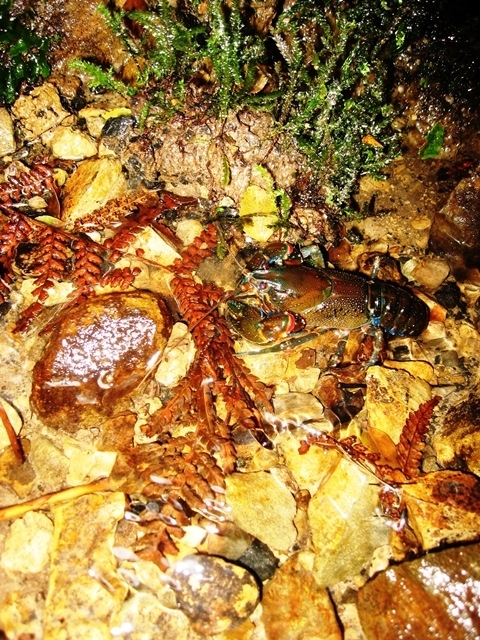 This fresh water crustacean was spotted swimming in the Lyrebird pool. He is well camouflaged! 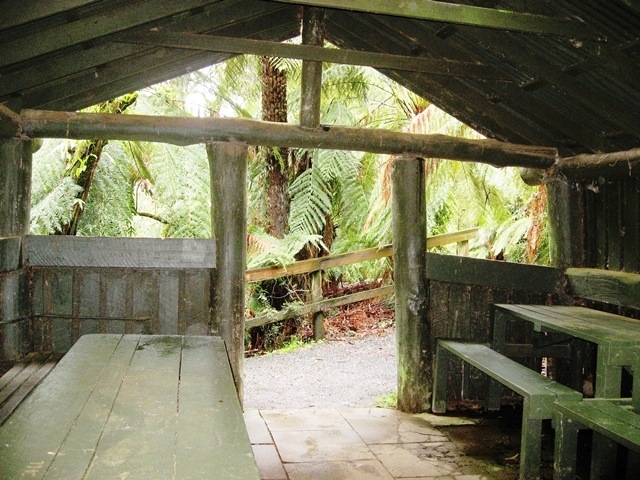 A big wooden shelter with forest views, a place to stop and rest or enjoy a picnic. This track is off to your left after you leave the Bulga picnic area.